October 16th is World Food Day! Come celebrate with me by submitting your yummy recipes via email or comments and I will include them in my Tasty Tuesday blog post! Our planet produces enough food for everyone, yet nearly one billion of us (1 in every 7 people) still go to bed hungry. About a third of the food produced for our plates ends up lost or wasted between farm and fork. One pound of ground beef for your family uses more than 28,000 cups of water to produce—that’s enough to fill 20 bathtubs to the brim, and then some! There are deep imbalances in access to fertile land, water and other resources. The control over these resources do not lie with the farmers who produce the food, but with companies and governments that control the global food system. Already high food prices, hit a new record in 2011, driving tens millions into hunger. The choices you make in the kitchen can fight hunger around the world. 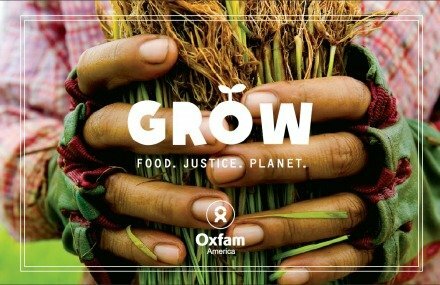 I encourage you to check out Oxfam’s website on the GROW method. They have recipes, helpful tips, resources, and you can even request a World Food Day kit. I did.. and it packed full of information, recipes, stickers, placemats, and other information. In the next few days, I plan on reading the information I received and making changes to the way I get and prepare my family’s food. Won’t you join me? Please, celebrate World Food Day with thousands of supporters around the world on October 16th. 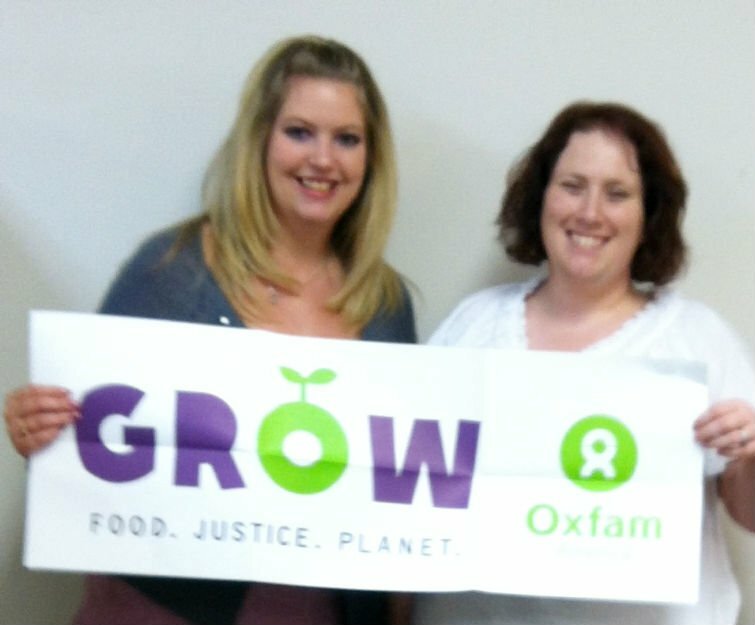 A very blurry picture of Mandy and I with the Oxfam GROW poster. Remember— send me your recipes to be featured on my Tasty Tuesday post! I will include them all!!!! The Shanti Uganda Society Needs Help!